Stock # 11427, 3.5L V6 EFI DOHC 24V, 8-Speed Automatic, 27 mi. 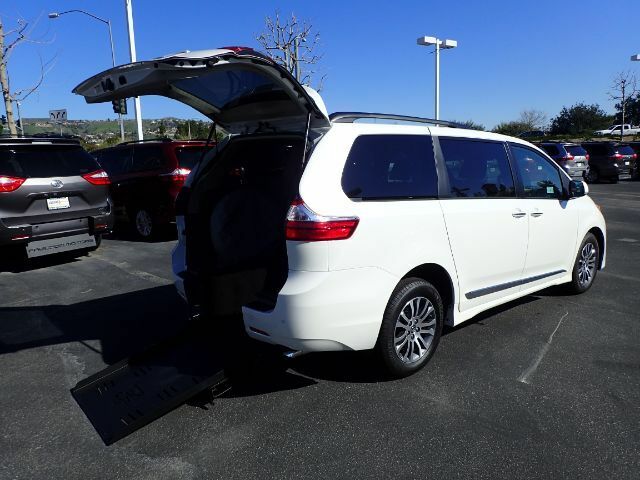 2019 Toyota Sienna Limited Premium is decked out with upgraded features like widescreen DVD players that folds down from the ceiling. Plus a moonroof, touchscreen display, and three-zone climate control. This handicap accessible conversion is from Freedom Motors (FMI) and is equipped with an automatic rear-entry ramp, 30" wide. The dark tinted windows make this Brilliant White exterior color pop.